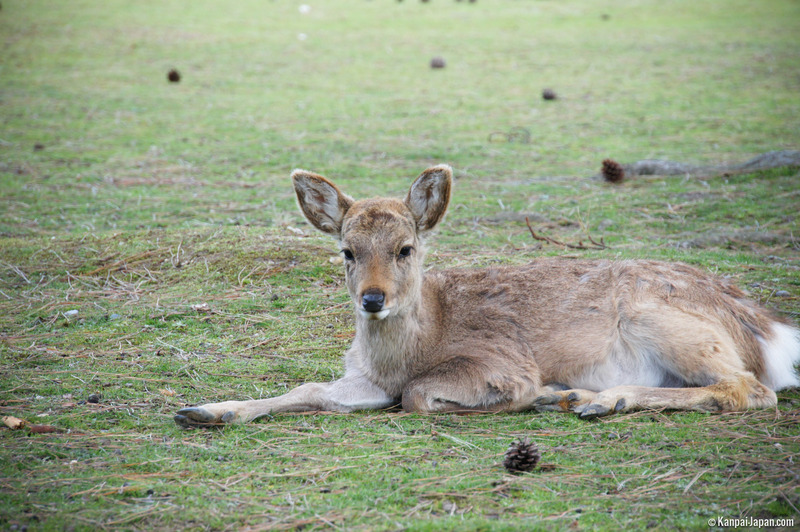 Nara’s great Park is probably the attraction most massively visited by tourists who have come to spend one or several days in the famous Kansai little town. 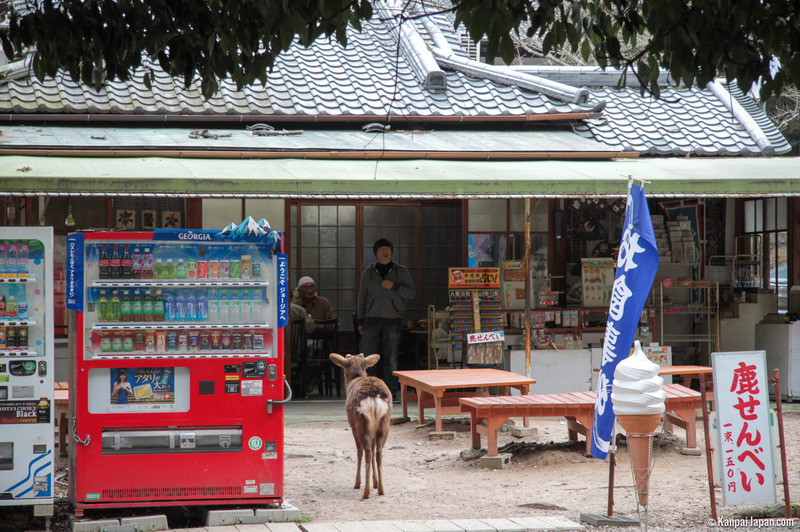 On leaving the station, just walk in an eastern direction up the commercial street proudly sporting its souvenirs, mostly derived from the shika deer. 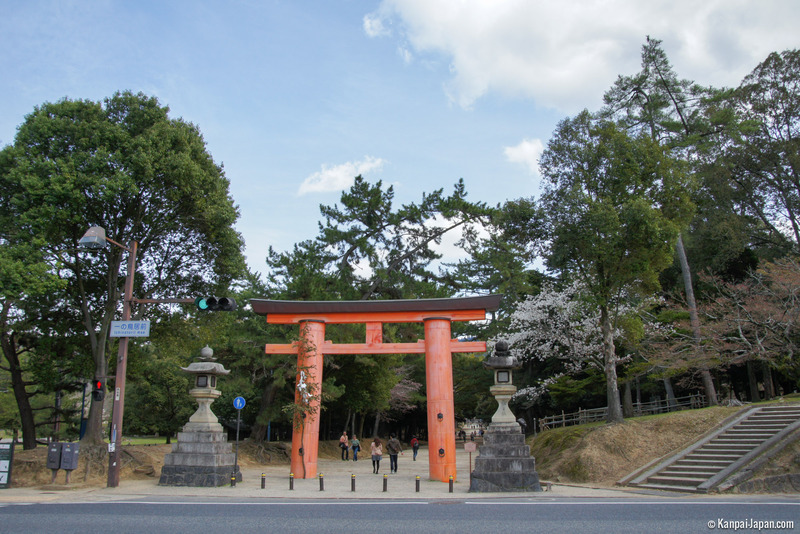 After a few minutes, a large vermilion torii will loom ahead to signal the entrance of the Nara Park, the actual gateway to most of the town’s tourist attractions. A vast expanse of 502 hectares – even 660 hectares if you include the Todai-ji, Kofuku-ji and Kasuga Taisha premises – laid out in 1880, the park is not only home to these sublime temples and shrines, but is also worth visiting for its own sake, obviously largely on account of the natural attraction provided by the shika deer that roam the grounds in complete freedom. 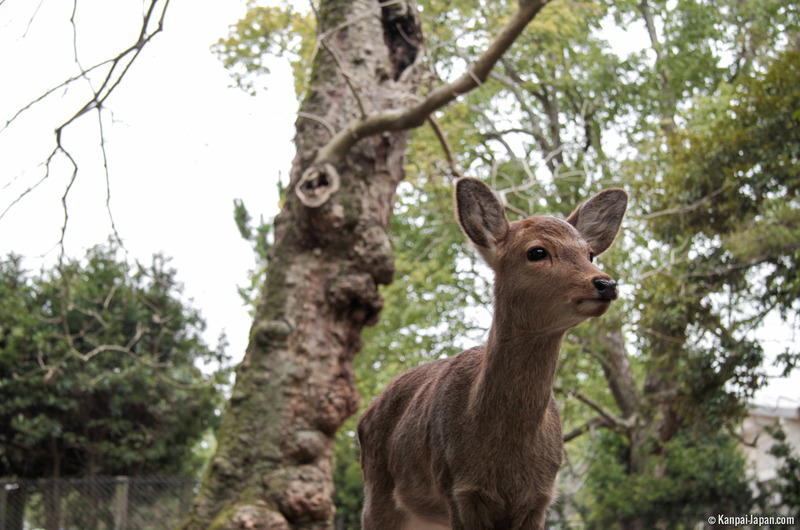 The 鹿 shika, who look very much like our fallow deer, are, to say the least, undaunted! 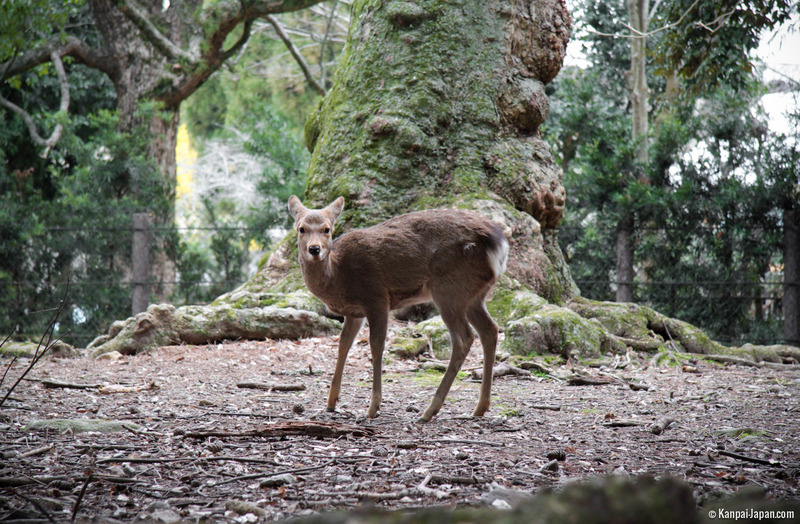 They do not shy away from posing for photos, so impassive are they at the sight of the crowds of tourists visiting the grounds all year round. They are certainly much more interested in whatever food you may have hidden away in your bag than in you, which is why it is wiser not to tempt them for fear of being jostled - more or less gently! 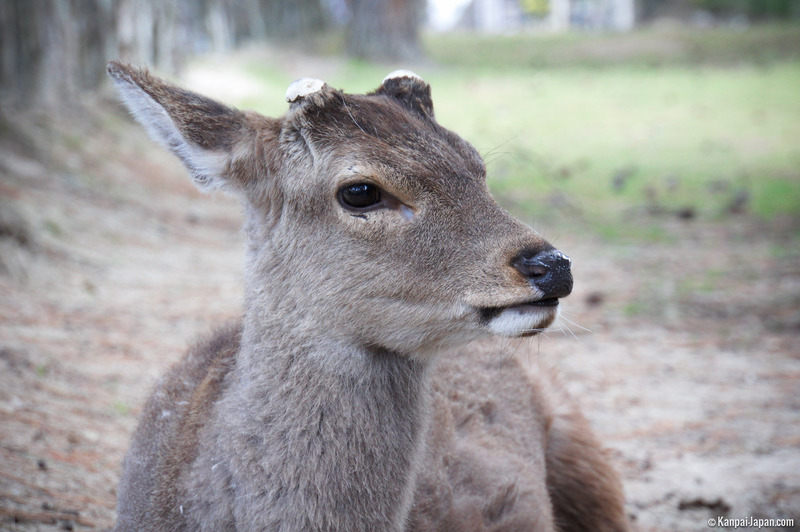 Part of the park’s 1,200 deer roam one of its largest expanses, the Tobihino hill. 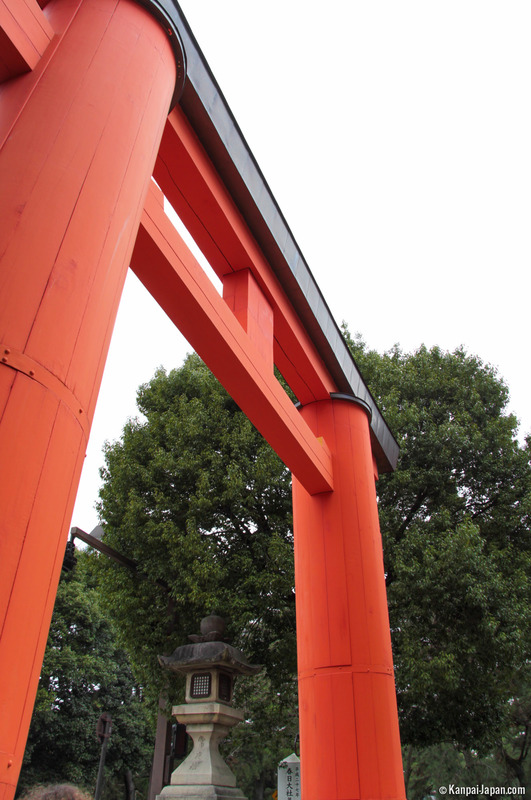 In the Shinto religion, they are believed to be messengers of the gods. 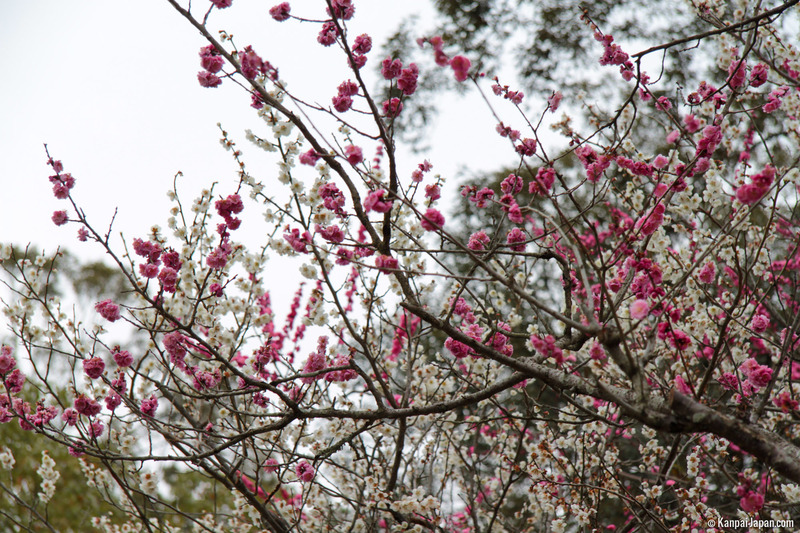 They have, moreover, been designated as natural treasures by the town of Nara. 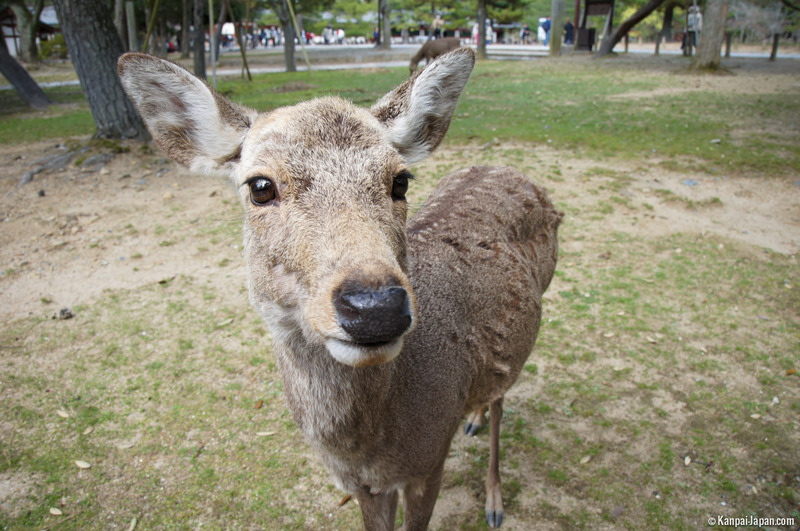 Don’t hesitate to respectfully share their natural environment by sitting on the grass for a pleasant break or snack. 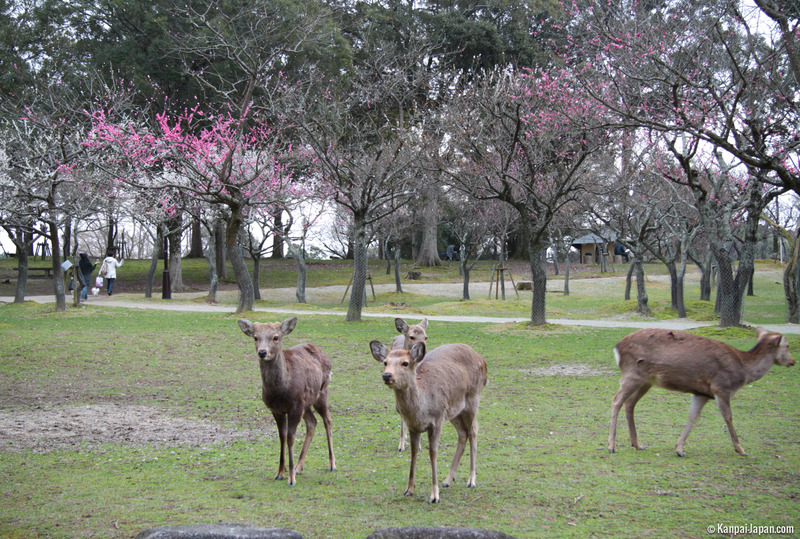 The town of Nara organises a deer call in the park’s main clearing in the early morning, played by a local horn-player. Booking is compulsory. 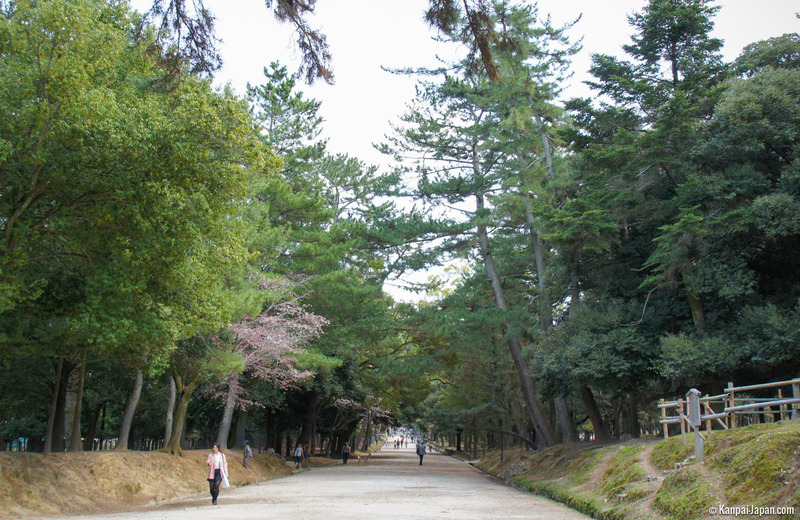 Viewed from above from the Wakakusayama mountain tops, the park’s vast expanse is rather impressive and the view provides a new perspective on the decidedly indispensable Nara platform.